Our purpose built snooker room is widely regarded as one of the best snooker rooms in the country. So respected that in 1987 the then World Champion Joe Johnson visited to play our then club champion. 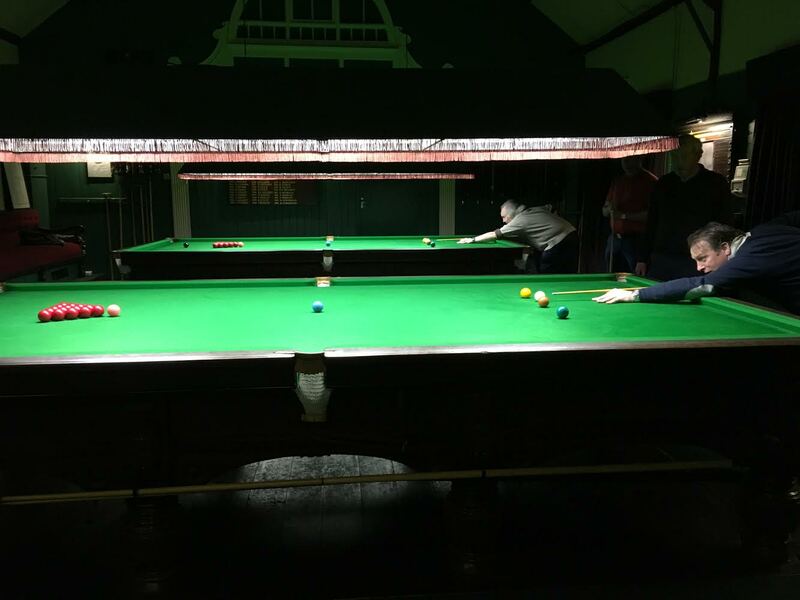 The Snooker Club is a wonderful social haven for players of all ages and we host regular social events including club night on Thursdays and seasonal events like our Christmas 1 ball. More competitive singles and doubles tournaments are played throughout the year such as the famous Snooker Handicap Championship which dates back to 1928. If you have any queries about the Snooker activities on offer in the club please do not hesitate to contact the current Snooker Captain, Mr. Paul Barry.